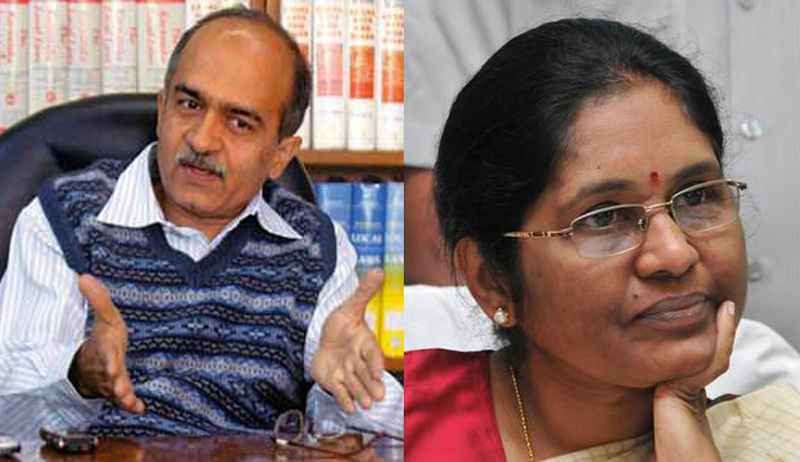 Lawyer and activist, Prashant Bhushan has written a letter to Chief Justice of Delhi High Court, Justice G. Rohini, bringing to her notice, the apparent irrationality in the result of the Main Exam of the Delhi Judicial Service, (DJS) 2014. On 18.02.2014, after a gap of three years, an advertisement was issued for recruitment to 80 vacancies of Delhi Judicial Service (DJS). Out of 80 vacancies, 55 were for the General Category candidates. The exam was to be held in three parts, the preliminary examination, the main examination and the interview. A total 9033 students took the preliminary examination held on 01.07.2014 for total 80 vacancies, of which 55 were for the General Category candidates. 659 students out of 9033, who were declared successful in preliminary examination, took the main examination held on 10th and 11th October, 2014. The result of this Main Examination was declared on 1st May 2015, almost 7 months after the exam was held. Surprisingly, only 15 students (13 from General Category and 2 from reserved category) have been selected for the interview for total 80 vacancies in the result declared on 1st May 2015. Thus, 98% of the students who had cleared preliminary examination have not been found suitable for the final interview test. Mr. Bhushan’s letter claims that this was despite the fact that at least 65 candidates, who appeared for the Main Exam but not selected for the interview, are those who have already cleared judicial examinations of other States like Uttar Pradesh, Himachal Pradesh, Haryana, Jharkhand, Orissa, Punjab, Rajasthan Uttarakhand, Madhya Pradesh, Gujarat, and most of them are sitting judges in their respective states. He requests that the result of the Main (Exam) of DJS, 2014, declared on 1st may 2015, should be put on abeyance and all the papers of all the candidates who appeared for the said exam should be re-evaluated “by adopting fair and reasonable standards”, “by persons of unquestioned fairness”, so that meritorious and suitable candidates could be selected for all the notified vacancies. Last week, Union Law Minister had written to the Delhi High Court Chief Justice G. Rohini to look into the “corruption, favouritism and nepotism” in the Delhi Judicial Services Examination that was held in New Delhi last year. Despite such claims, no corrective action has been taken till now. You may read the LiveLaw story and letter here.